One of the best things about being a large, stable company is that we have many locations across North America. Our shops are conveniently located in and around many of the major transportation corridors — where trucks are, shops are! — which are great places to both work and live. Schneider is where you are — and where you want to be. 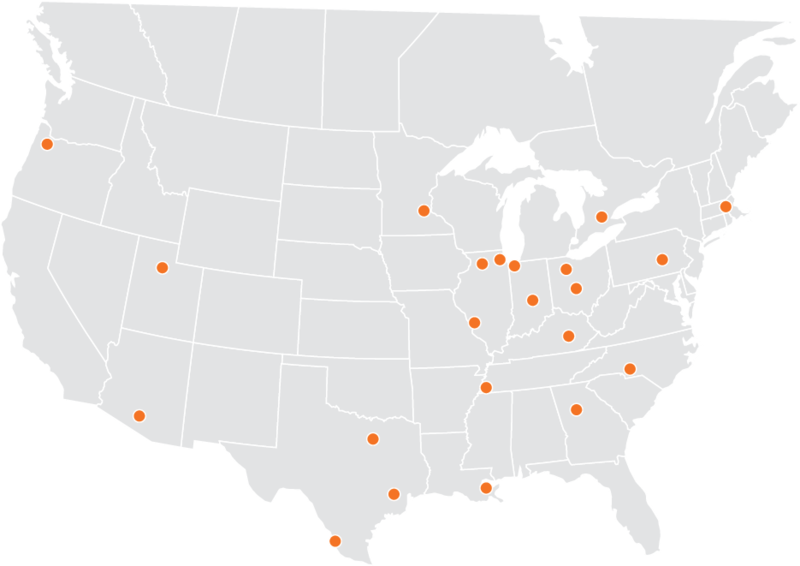 Schneider’s Maintenance facilities span the U.S. and Canada. Check out the map above to see what locations are nearest you. We also have positions at some of our field locations that might not be listed below. Search and apply for those opportunities.